G. H. MacDermott (1845 -1901) was known as 'The Statesman of the Halls', he was renowned for his risqué and sensational songs which meant that many Music Hall managers were reluctant to employ him. Many of his songs were comments about political situations and he was thought to have greatly influenced public opinion. 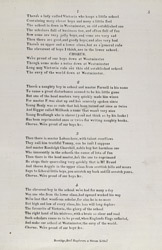 This music cover is a parody of Parliament, it shows a school room with 'Britannia' as the teacher and caricatures of contemporary politicians as her pupils. There is a globe in the foreground which shows the British Empire.